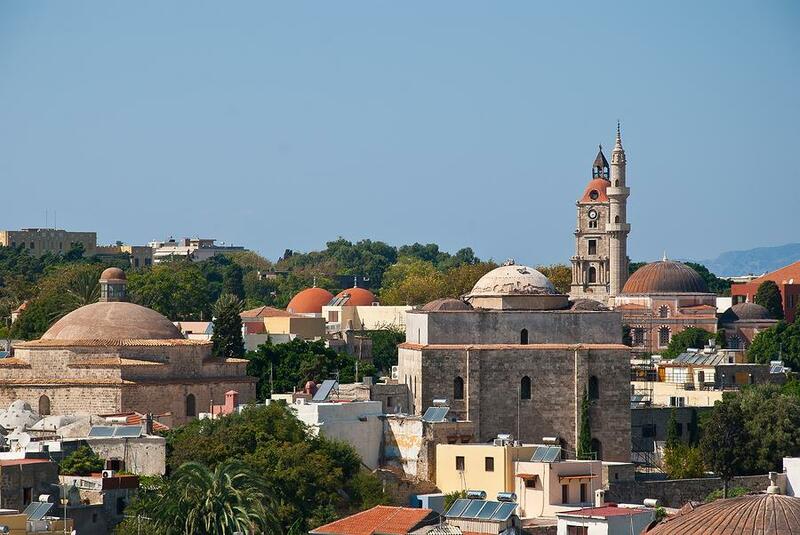 Rhodes in its turbulent history saw many invaders who left behind a legacy of monuments and culture. 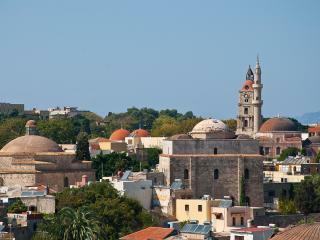 Rhodes town was originally built in 408 B.C. and was surrounded by a city wall. It had five harbours, magnificent roads, parks, temples, public houses and many monuments. During the Byzantine period Christianity spread over the island of Rhodes with the establishment of many early Christian churches. The “Knights of Rhodes” protected the island for over two centuries (1309-1522) and they erected strong fortifications, towers and battlements preserved to this day. Following the Turkish dominance of over 3 centuries many churches were turned into mosques and today the visitor can see some of these in the old city. The Italians who were the last to invade Rhodes in 1912 also built a whole series of impressive public buildings and ruled the island until its unification with Greece in 1947. You need to allow at least 3 days in Rhodes town in order to visit its many attractions. It is a beautiful city surrounded by the sea and popular beaches within walking distance from any hotel in town. The picturesque Mandraki harbour, the Old Town, the aquarium with its many fish species, the world class casino, the Grand Master’s Palace, the archaeological museum, the numerous churches, the minarets and the Great Haman (Turkish bath) recently renovated, are just a few highlights of this unique city. 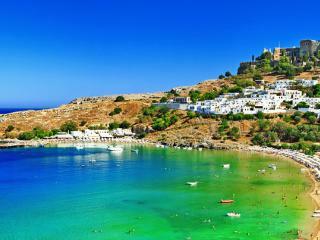 Lindos village is another must see spot during your stay in Rhodes. Crowned by its own Acropolis this whitewashed village with its wonderful mansions, Byzantine churches, cobbled narrow lanes and sandy beach is one of the most visited places on the island. The Butterfly Valley is a natural park in Rhodes where multi-coloured butterflies appear by the thousands between June and September. Faliraki beach is famed for its nightlife, Ixia beach, Ialyssos beach, Afandou beach, Kalithea beach, just to name a few, offer the visitor a range of accommodation, seafront bars and restaurants as well as shopping facilities. The many traditional villages like Kalathos, Asklipios and Monolithos complete a holiday experience hard to match anywhere else in the Mediterranean and make Rhodes a place worth visiting while holidaying in Greece.